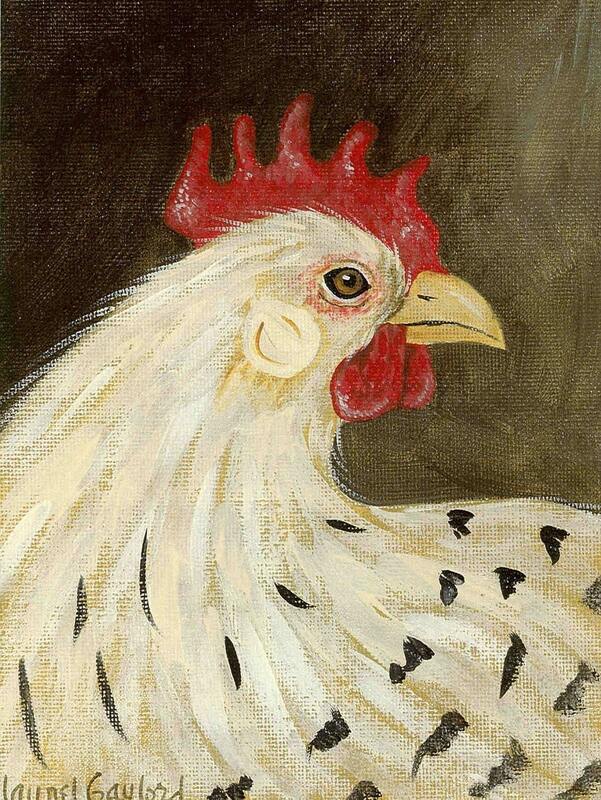 I love painting chickens! This image was originally a miniature painting that sold. Thank goodness I keep copies of everything so I can offer them as cards. Each card measures 5 1/2" by 4 1/4" and comes with a matching envelope in a protective cello sleeve. The card is blank so you can write your own thoughts.